Mickey and friends are coming to rock the house at Hershey Theatre! Enjoy Disney hits as you’ve never heard them before…remixed to swing, reggae, hip hop, rock, country, pop and more. With stars from Aladdin, Disney/Pixar’s Toy Story and The Little Mermaid, Mickey and his friends have a fun filled, rocking concert in store with something for everyone. Scheduled to appear during this event are Mickey, Minnie, Donald and Goofy; Ariel, Sebastian and Ursula; Jasmine, Aladdin and Genie; along with Woody, Buzz and Jessie. 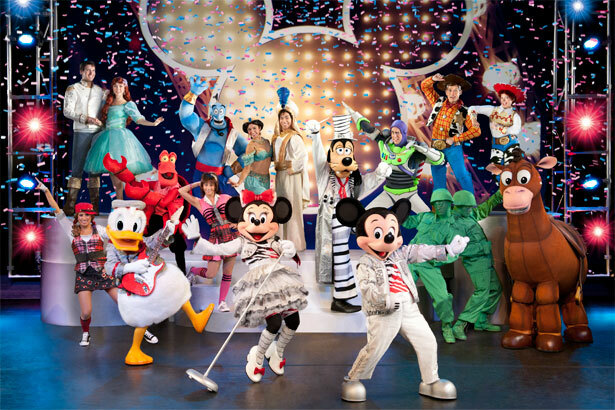 More than 25 Disney stars will be here to entertain the entire family; sure to have you dancing, singing and laughing! Book now at 1825 Inn Bed and Breakfast right next to Hershey PA!